The Phoenix at Milton is a nice place, so we picked it for our parents. They had everything we wanted in terms of the room and other things. We've had some issues with the staff, but they provide help, including medication management. I liked it here at Milton, it's cheaper, and closer to where my daughter lives. The food is great, and they have a professional chef. I joined the social hours sometimes, I've been to the luau, celebrating the Cinco de Mayo, and going to visiting musicians. I've gone to Bible study and church service. The Phoenix at Milton offers premier assisted living and memory care with superior personalized care and a compassionate staff. Phoenix Senior Living is a company built on love that spans generations, offers ideal assisted living options for seniors and specialized services for those diagnosed with Alzheimer’s and various forms of dementia. Phoenix Senior Living, whose leadership collectively has been serving seniors in the Southeast for more than 30 years, believes that transitioning into your new home at The Phoenix at Milton welcomes a new chapter in your life, where seniors can live as independently as they desire — a life where seniors live, love, and thrive. All seniors at The Phoenix at Milton have full access to the facility’s wide spectrum of services and amenities. Seniors enjoy superior culinary experiences, personal care assistance, professional housekeeping services, and excellent transportation options, to name a few. Every resident has the ability to call for immediate help via our Ecall system located in all bathrooms and bedrooms, as well as by way of personal mobile pendants provided. Our executive staff and trained caretakers are committed to serving your loved one. The Phoenix at Milton specializes in caring for seniors who experience Alzheimer’s and the many forms of dementia. We understand the toll memory loss can take on loved ones. The Phoenix at Milton can help manage the highs and lows of living with someone with Alzheimer’s or dementia. Our Memory Care Neighborhood is designed to mimic a comfortable home like setting. Pertinent memorabilia and furnishings are carefully designed to simulate a peaceful and familiar environment, coupled with active reminiscing daily. When living with memory loss, cultivating a successful day isn’t always easy. Our caregivers proceed with patience, compassion, and respect in all circumstances. 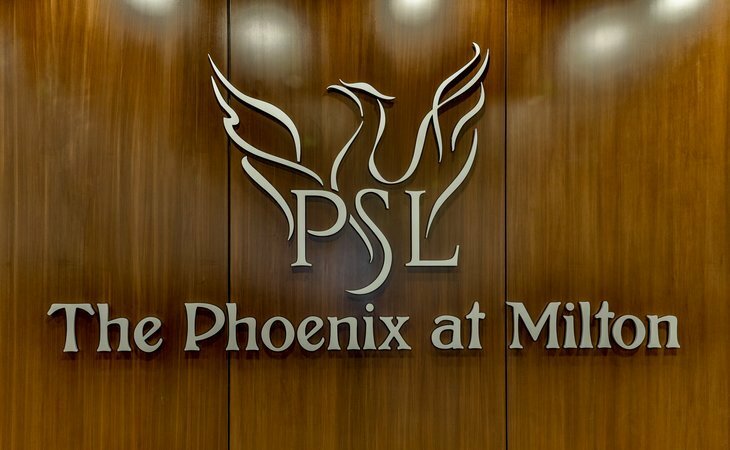 Each day, The Phoenix at Milton team enforces the philosophy that every senior can live a purposeful life – no matter his or her current state of mind. Situated in Milton, Georgia but convenient to the North Fulton, Alpharetta, and Forsyth communities, our state of the art facility offers luxury style accommodations with a comfortable, small town feel. What should caregivers and potential residents know about Phoenix at Milton?